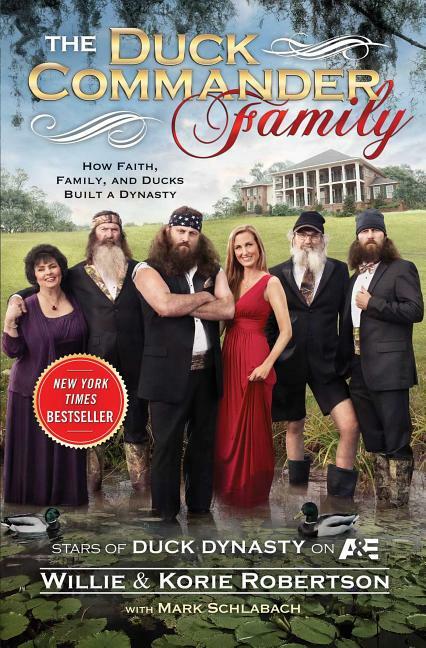 Meet the Robertsons in this personal behind-the-scenes look at the stars of the exploding A&E(R) show Duck Dynasty(R). What do faith, family, ducks, and money have in common? The well-known stars of A&E's hit show Duck Dynasty--Korie and Willie Robertson! From Louisiana's bayou comes the story of how the Robertson family went from eating fried bologna sandwiches to consuming fine filet mignon. Part redneck logic, part humorous family stories, combined with family-business tips and faith, this book is the inside sneak peek for everything you wanted to know about being a Robertson. You'll find out things about this lovable family that you won't see on the popular TV show--such as how the family survived while Miss Kay worked days and left the boys in the care of eight-year-old older brother Alan. You'll get to know the beautiful Korie Robertson--how she met Willie, what their dating days were like, and how she juggles being a mom to their children, a wife to Willie, and an active partner in the family business. In addition, you'll get a taste of the Robertson clan's famous food, through recipes included in each chapter, and you'll see childhood photos of Willie and Korie, photos of Willie before the beard, and photos of their children and all of the Robertson clan.